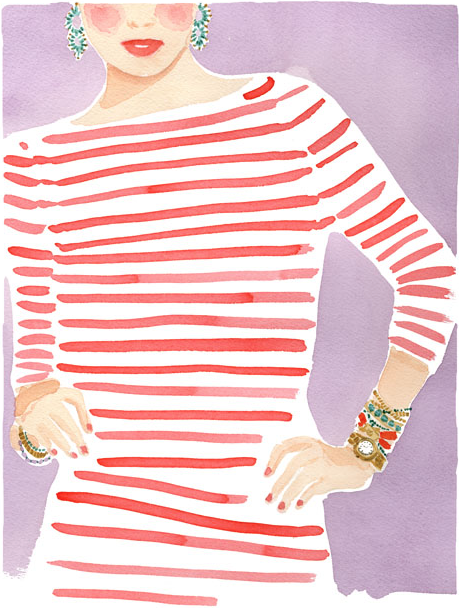 I just love NYC artist Caitlin McGauley's watercolor illustrations. 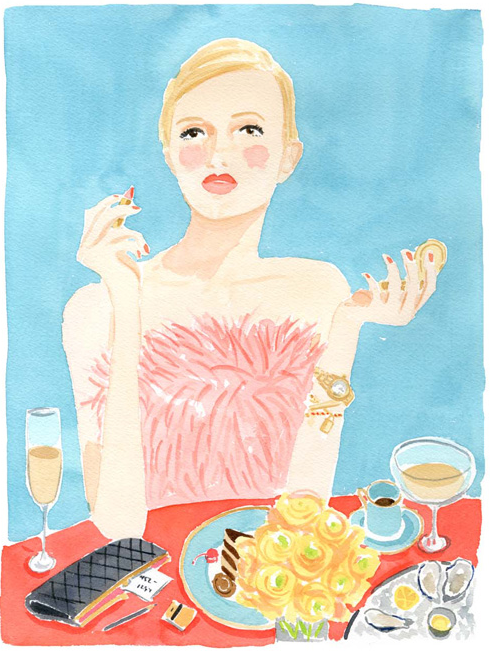 They are bright and cheery and elegantly depict fashionable scenes of daily life. 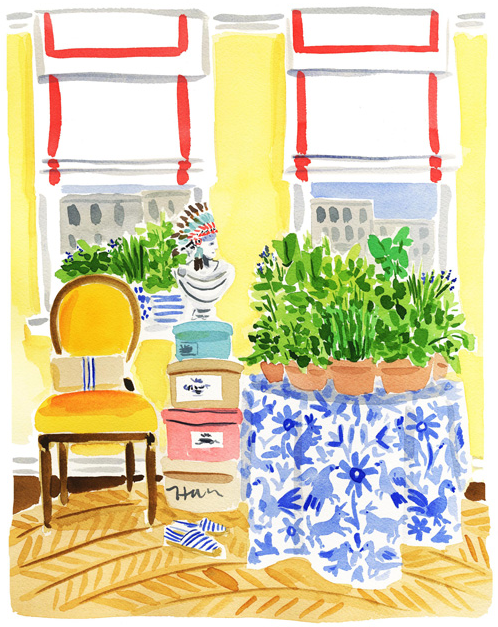 Caitlin was previously a textile designer for Ralph Lauren Home and has done work for many other esteemed brands. 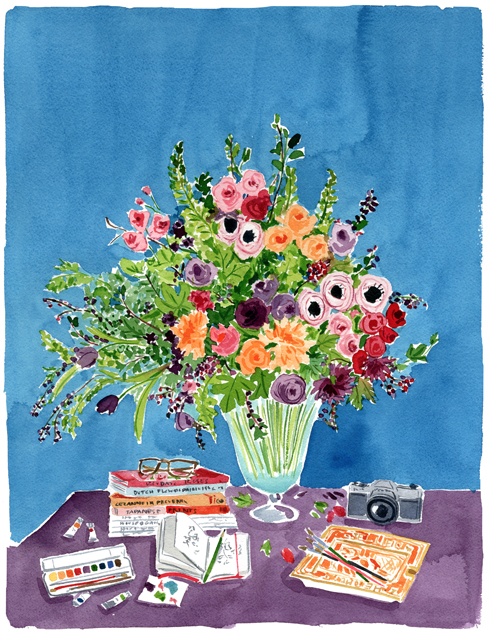 Caitlin sells select prints on her website ... be sure to visit her site to see her other wonderful watercolor illustrations. I'm sure you'll be glad you did! Thank you for inspiring me today Caitlin! 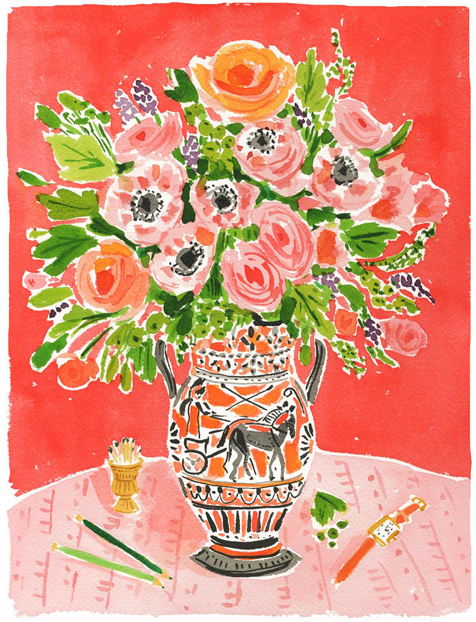 Wishing you an inspired, art-filled day!